One of my favourite activities during the year is attending farm shows, both as an attendee and as an exhibitor. Here are a few tips we have learned over the years to make your visit productive. Make a list of exhibitors you want to visit. Do your homework ahead of time and make a note of vendors you want to see. 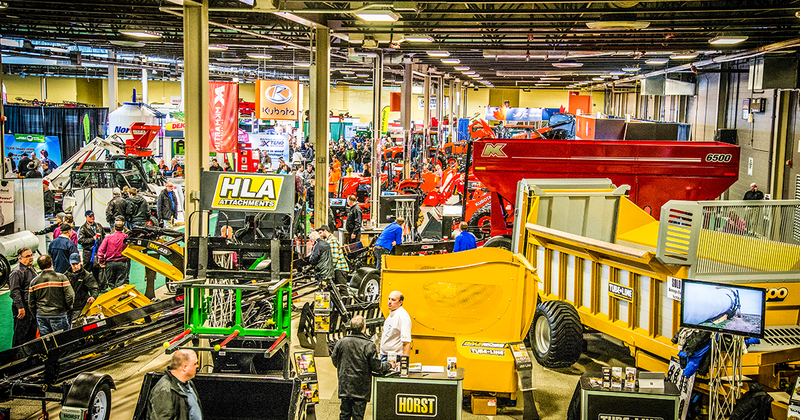 A farm show often provides an opportunity to research and talk to new suppliers. The companies exhibiting often send their best most experienced representatives to the farm show, take advantage of the opportunity to network. Take a stroll, get there early. After mapping your plan on the show’s website, take the time to walk the entire show if you can. You’ll almost always see something new and interesting you wouldn’t have otherwise thought to look for. Try to get there early and get a lay of the land first thing in the morning before the aisles clog with people. If you are staying overnight, get lodged early. Local hotels fill up quickly when farm shows are in town – often as early as a year in advance. If you’re traveling far enough to require an overnight stay, book early. Sure, rooms might free up during the course of the show from cancellations but I would not count on that. Enjoy the show and drop by and say hello.